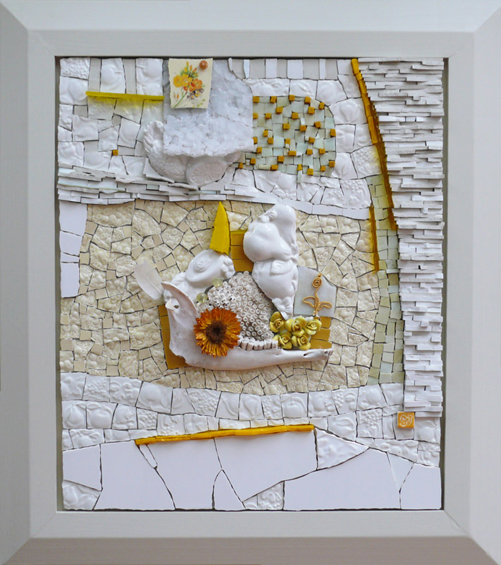 Textured mainly white tableaux with a colour piercing through. Abstract landscapes viewed as micro- and macro-cosmos. Materials for assemblage gathered through times and countries.